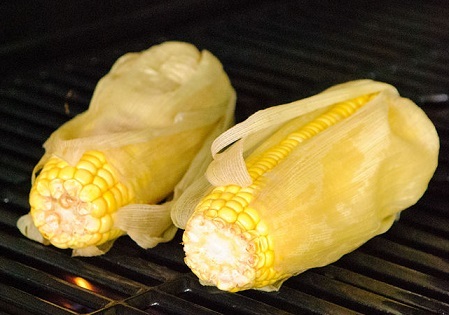 There are a number of ways for Grilling Corn and most of them work well. 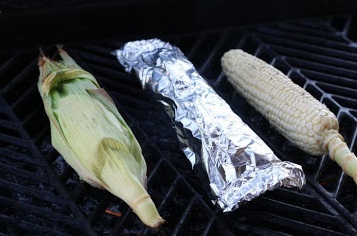 The two recipes below are both very good ways that explain how to cook corn on the cob using a grill. 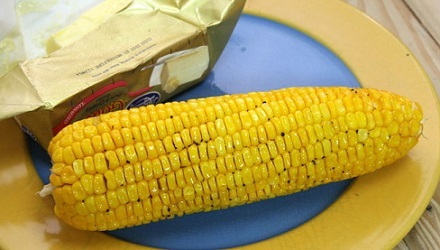 I barbecue corn on the cob at home and on the restaurant deck during the nice summer months. While you are thinking about grilling corn, you should also consider grilling asparagus and / or other vegetables. It is really a wonderful way to prepare your veggies and if your barbecue is ready to take over some of the summer cooking chores, you might as well have it do the entire job for particular meals. Like butter? Smother them! Preparation time: 5 minutes. Serves 8. Some people (more and more) do not like using aluminum or aluminum foil when they cook food. There may be the possibility of contaminants attaching themselves to our food. I understand this and so I give you another way to BBQ corn on the cob. Preparation time: 35 minutes. Serves 8. This particular method (using the husks) is attractive and appreciated by many restaurant guests as they observe the cooks at the BBQ during the summer months on the patio. 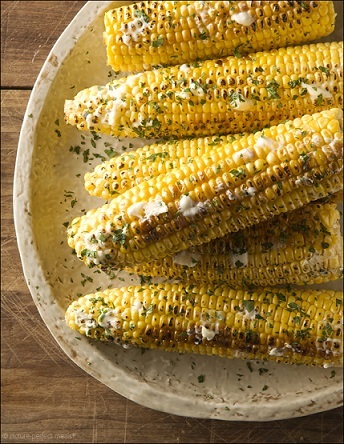 Enjoy your grilled corn on the cob and the company of those you share it with!